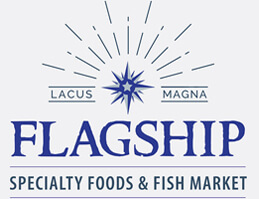 Flagship is Harbor Country‘s® premier Specialty Prepared Foods shop. We feature delicious, expertly cooked fresh foods. You can purchase a wholesome cooked meal, ready to eat and serve conveniently at home or at your vacation rental. 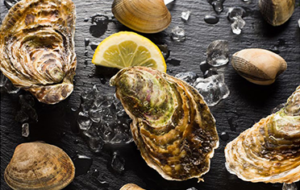 For those of you who love to cook, especially the Grill Master of the house, we sell fresh and properly frozen fish, shrimp, crab, oysters, clams, scallops, and by special order, Live Lobsters. One of our ‘Celebration Specials’ is the New England Clambake. Sold complete with the pot you need to boil it in, it includes everything you would expect and more. Please see Seafood Information & Fish Buyers Club page for more information and photos! We feature freshly prepared sandwiches, including our hot Roman Porchetta Sandwich, Sage-Roasted Turkey Breast, and many more. Since we are a Seafood Market, we are also bubbling up classic Fish & Chips. With the bounty available in SW Michigan, our selection of gorgeous foods varies widely, with some of our favorites on the menu all year long, and some being made only when ingredients are in season and available at their peak. Please see our current menu. In addition to all of our fresh offerings, you can always find a few choice items of unusual gourmet goods on the shelves. 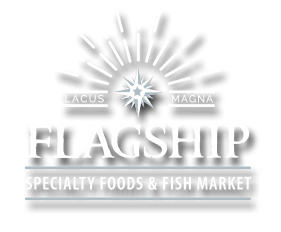 Flagship is a `to-go’ store, but there will always be a few tables outside for you to enjoy. We welcome your suggestions, and if you don’t see something you’re looking for we can try and source it for you! Just drop us a quick email and let us know what you are interested in. 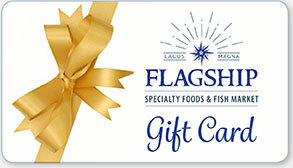 Flagship is also one of Harbor Country’s® finest caterers. Rachel Collins has over 30 years’ experience in creating bespoke menus for her clients. 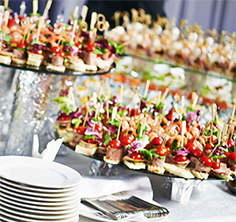 We offer pick-up catering as well as on-site services. 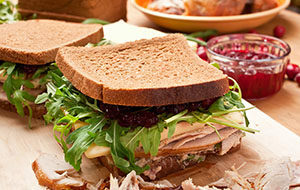 Please see our Catering Services page for further information.